The ComfortLite Self Inflating Cushion is a multi-purpose wonder. It makes a great bleacher seat cushion, knee pad for gardening, back support in your office chair or even a base layer for your camping pillow. If the job needs more padding, this cushion is the answer. The ComfortLite Self Inflating Cushion can be packed flat or rolled into its stuff sack. Be sure to store the cushion fully inflated for maximum loft. Built with the same great quality as the highly-rated ComfortLite Camp Pads, you can expect durability and comfort from your cushion. 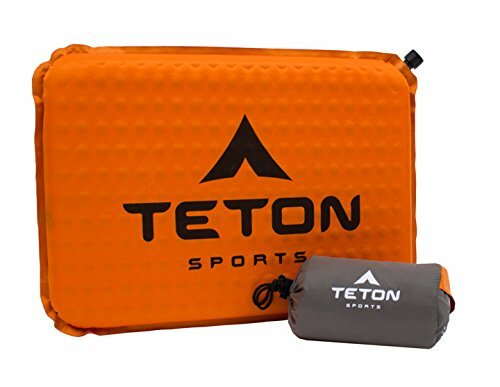 If you have any questions about this product by Teton Sports, contact us by completing and submitting the form below. If you are looking for a specif part number, please include it with your message. Libre MIXED Gift Pak: 2pcs Pink, 2 pcs Teal, 2 pcs Green, Infuser Bottle with a Durable Glass Interior - 14.3 oz.